mandamus, quo warranto and prohibition. 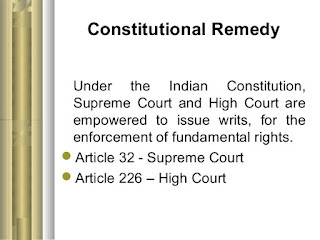 The Supreme Court may issue writs under Article 32 of the Constitution for enforcement of Fundamental Rights and under Articles 139 for enforcement of rights other than Fundamental Rights, while High Courts, the superior courts of the States, may issue writs under Articles 226. The words ‘habeas corpus’ literally mean ‘you may have the body’. The writ may be addressed to any person whatever, an official or a private person who has another person in his custody and disobedience to the writ is met with punishment for the contempt of the court. The different purposes for which the writ of habeas corpus can be issued are: (a) for the enforcement of fundamental rights, (b) to decide whether the order of imprisonment or detention is ultra vires the statute that authorises the imprisonment or detention. The term “lower courts” comprehends special tribunals, commissions, magistrates and officers who exercise judicial powers, affecting the property or rights of the citizen and act in a summary way or in a new course different from the common law. It is well established that the writ lies only against a body exercising public functions of a judicial or quasi- judicial character and cannot in the nature of things be utilised to restrain legislative powers. The writ of certiorari is issued to a lower court directing that the record of a case be sent up for review, together with all supporting files, evidence and documents, usually with the intention of overruling the judgment of the lower court. It is one of the mechanisms by which the fundamental rights of the citizens are upheld. d) Resulting in an error of law apparent on the face of record. The writs of prohibition and certiorari are of the same nature, the only difference being that the writ of prohibition is issued at an earlier stage, before the order is made and the writ of certiorari is available on a later stage i.e. after the order has been passed. The writ of mandamus is issued to a subordinate court, an officer of government, or a corporation or other institution commanding the performance of certain acts or duties. Mandamus literally means a command. This writ of command is issued by the Supreme Court of High court when any government, court, corporation or any public authority has to do a public duty but fail to do so. The writ may also be filed to stop the mentioned parties from doing a particular act that may be detrimental to the general public. 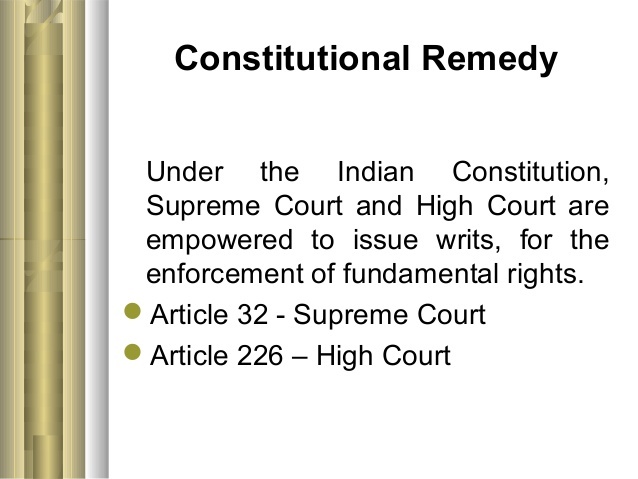 A writ of mandamus or command may not be issued against the Indian President or Governor. 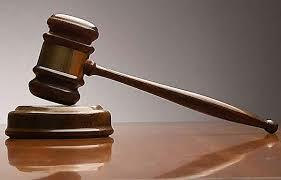 this writ the court inquires 'by what authority' the person supports his or her claim. (i) The concerned office must be a government unit or public office which performs public duties. Examples of such office members are advocate general, university officials, members of a municipal board. (ii) The public office must have a real existence. It should be permanent and cannot be terminated. (iii) A person against whom the writ of quo warranto is issued must have the real possession of the public office.